In an ABAP program, if you see "memory id parameter_name" and double click on parameter name, if the parameter has already been defined in SAP system following definirion screen will be displayed as a popup. 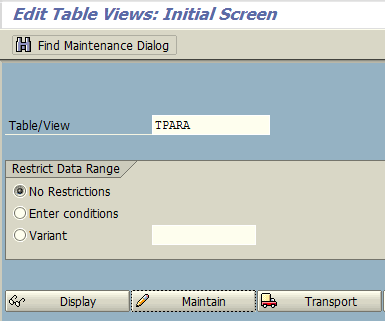 Memory ID parameters are stored in TPARA SAP table. 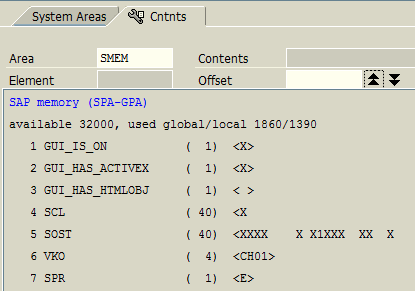 So ABAP developers can also query TPARA database table or use SM30 to display its contents. 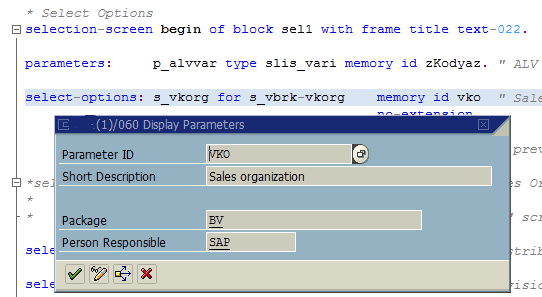 In order to create new memory id parameter in SAP, launch SM30 tcode and maintain TPARA table. Type new memory id parameter name in SET/GET Parameter ID textbox and press Enter. A new popup screen will be displayed to provide short description. You will be requested to enter the ABAP package name for the new object. 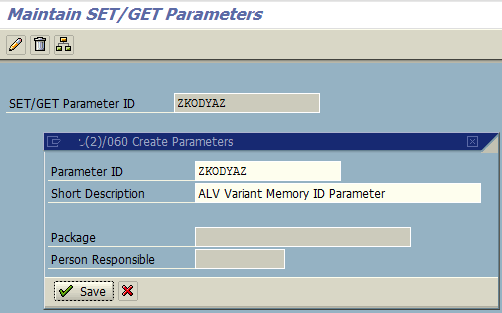 Now the SET/GET parameter, memory id object for our report is created. Press Cancel icon to exit from the maintenance screen. 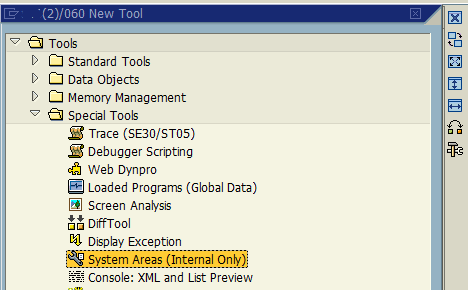 When System Areas tool is displayed, on the second tab enter SMEM for SAP Memory (SPA-GPA) or using the list on first tab find using page down and up icons and double click on SMEM system area.